. TASTY . HEALTHY . FILLING | A HEALTHY LUNCH . Eating healthy is a priority for me because for many years I've battled with my weight and I just have to look at food to put on weight. So I like to make tasty dishes that fill me up without feeling guilty afterwards. 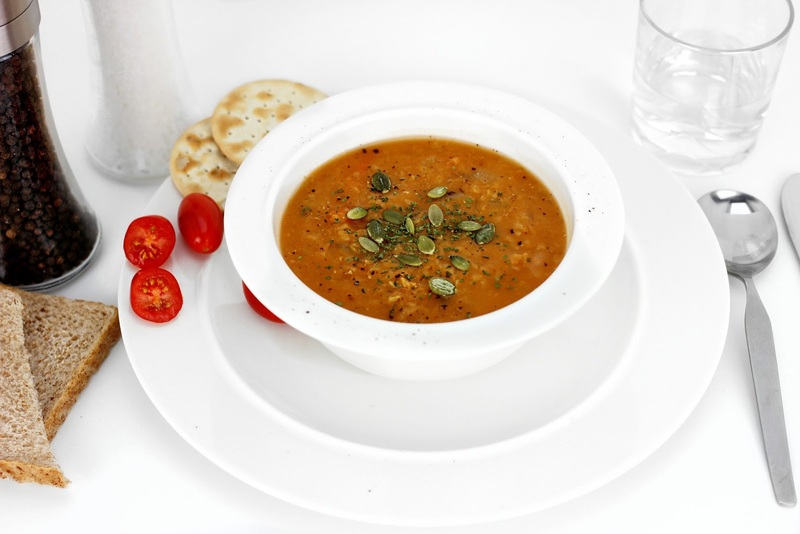 A dish I like to make regularly for lunch is red lentil soup. 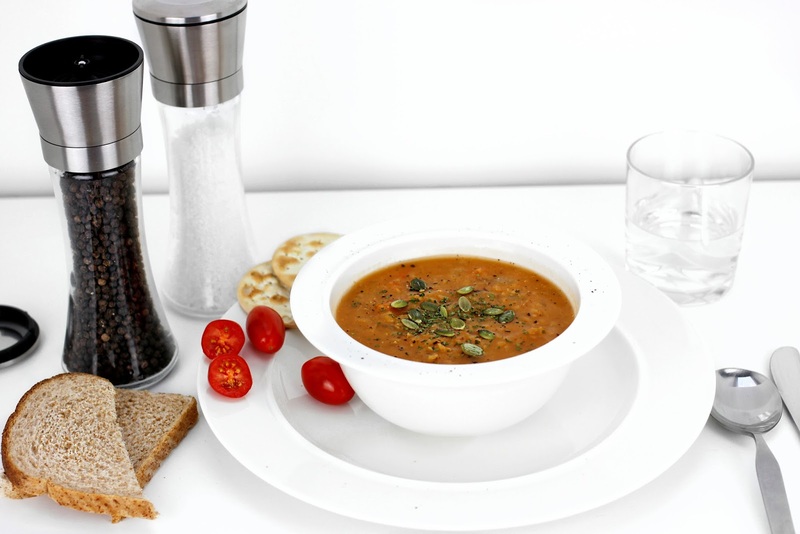 This recipe has a ton of healthy ingredients such as vegetables, pulses and most important, water! I like to make a big pot of this and refrigerate to have over a few days.
. THIS IS WHAT YOU'LL NEED . All you have to do with these vegetables and ingredients is chop them up and bung them all into a large pot and cook for 40 mins! Before serving I like to garnish my soup with a sprinkle of parsley and a few pumpkin seeds. 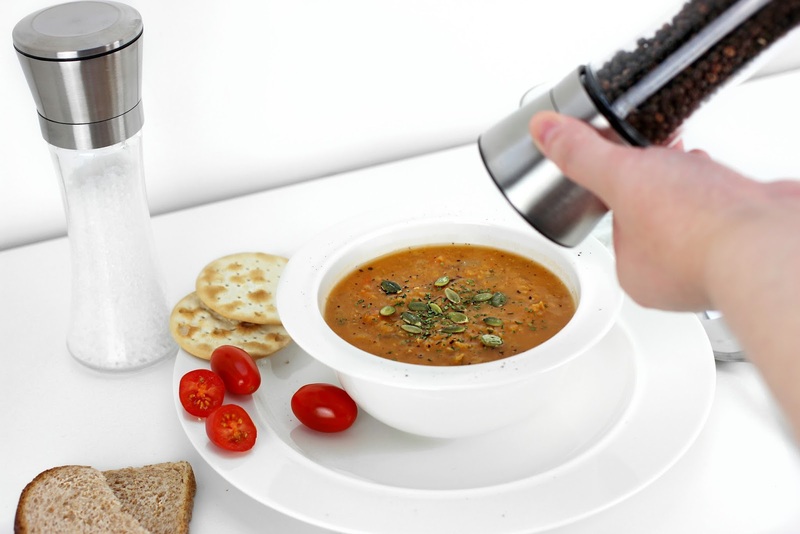 I also like to season my soup with a little salt and pepper. 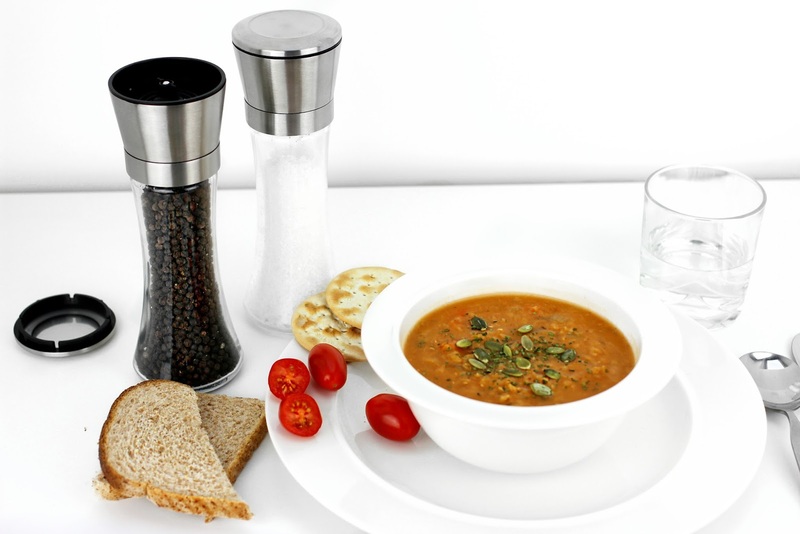 Cracked is my preferred choice and lately I've been using a grinder set by Akoni Homeware. This grinder set is made with high quality stainless steel and has a clear glass bottom so you can see the product inside. The Akoni set also comes with a collapsible funnel and brush to ensure no mess. My kitchen decor is black & white with many stainless steel products (microwave, kettle, pots) so this set fits in perfectly!
. HOPE YOU LOVE THIS RECIPE AS MUCH AS I DO ♥♥♥ .